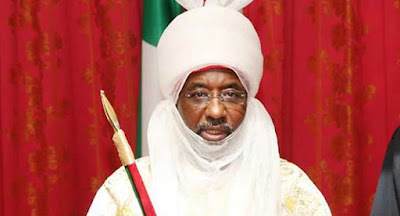 Mr. Angus explained that the station’s editorial staff in Abuja had inaccurately translated an April 24 interview with Muhyi Magaji, the Chairman of Kano State Public Complaints and Anti-Corruption Commission, who allegedly stated that Mr. Sanusi was under investigation. “The recording of the interview was passed to another colleague in Abuja office, summarised in a despatch and then sent to London where the online report was written and published. In the apology letter, dated April 28, 2017, Mr. Angus said the BBC removed the inaccurate interview from its website on April 26, but PREMIUM TIMES’ check revealed that Hausa version of the report was still live as at 9:06 p.m. Tuesday.